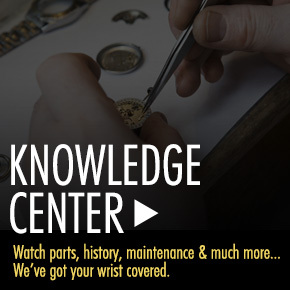 Automatic watch lovers rejoice! 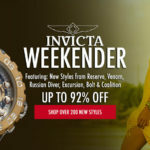 The Automatic Watch Event at World Of Watches not only features exceptional sale prices on many of today’s most-wanted automatic watch styles, you’ll also receive a free watch winder, valued at $39.99 with your purchase. 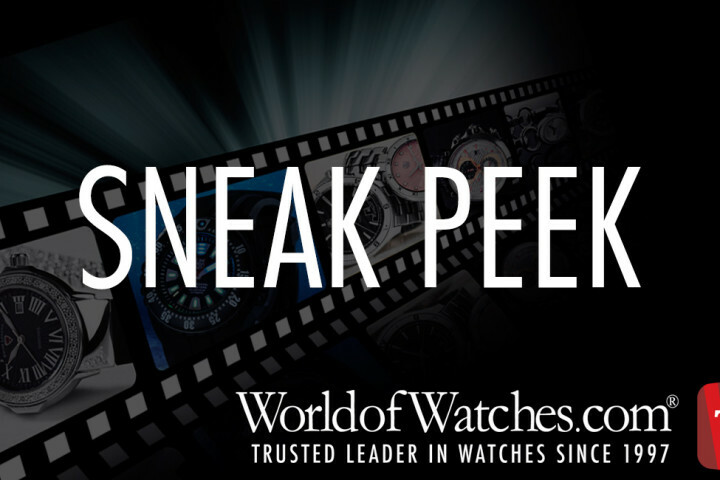 Whether this is your first automatic timepiece purchase, or a brand new one you’re adding to your collection, the bonus watch winder is both a welcome and essential necessity. 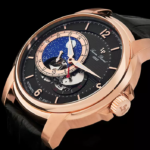 Although a self-winding automatic watch relies on the movement of the wrist, its power reserve diminishes when the watch is idle and not in use. 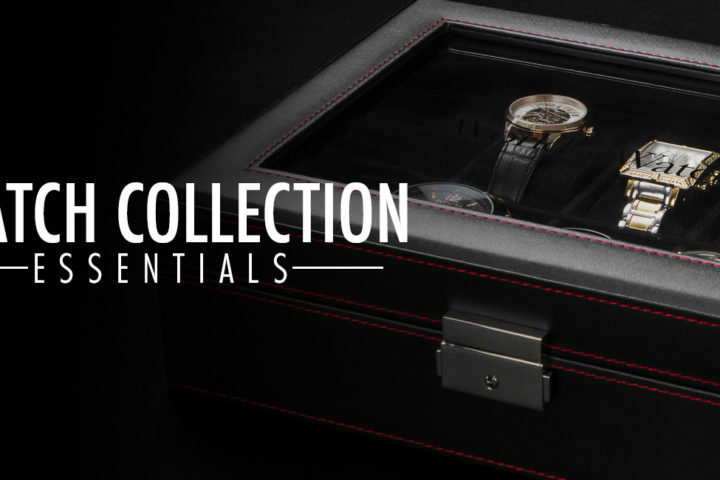 Unless you plan to wear your new automatic watch on a constant basis… a trait not characteristic of true watch collectors, you will need a winder for your watch. 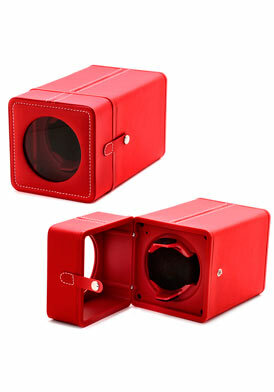 In addition, the bonus watch winder is compact and is also ideal for travel too. Close to eighty popular automatic watches are featured in the promotion, including highly-sought styles from Breitling, Omega, Raymond Weil, Maurice Lacroix, Eterna, Alpina, Bulova Accu-Swiss, Tissot, Victorinox Swiss Army, Ingersoll, Swiss Legend, Lucien Piccard and Elini Barokas. 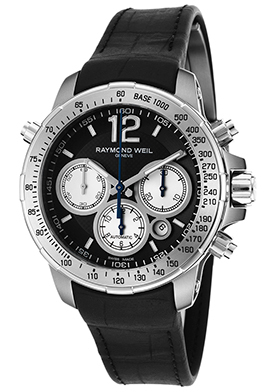 The Raymond Weil Nabucco Automatic Chronograph is an exemplary choice. The premium-crafted Swiss-made men’s timepiece is modern and urbane with a handsome contoured case in ultra-light, ultra-durable brushed titanium. The appealing black rubber strap adds to the striking good looks and it has a push-button deployment clasp closure for added convenience. The stationary engraved titanium tachymeter bezel surrounds then black dial with three metallic silver colored sub-dials, luminous hands and hour markers. Features include an automatic date window, small-second, 30-minute and 12-hour countdown timers. Additional features include a power reserve, anti-reflective scratch resistant sapphire crystal along with a locking screw-down crown and case back for water-resistance to 200 meters or 660 feet. Raymond Weil Nabucco Automatic men’s chronograph is 43mm in diameter and 15mm thick. No matter where your travels may take you, you’ll want the Tissot T-Navigator Automatic Chronograph by your side. This outstanding Swiss-made men’s watch features the round, contoured case and matching triple-link bracelet in brushed stainless steel. Bracelet has a push-button clasp for added convenience and security. The bidirectional rotating compass bezel in black ion-plated stainless steel features distinctive raised fluted detail, navigational indicators and arrows. The legible black dial has a tachymeter outer dial, small-second, 30-minute and 6-hour sub-dials, along with luminous arrow hands and markers. A semi-skeleton case back lets you see the automatic movement inside. Features include a scratch resistant sapphire crystal above the dial and water-resistance to 100 meters or 330 feet. 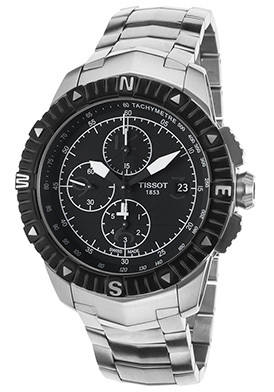 Tissot T-Navigator Automatic Chronograph is 44mm in diameter and 17mm thick. 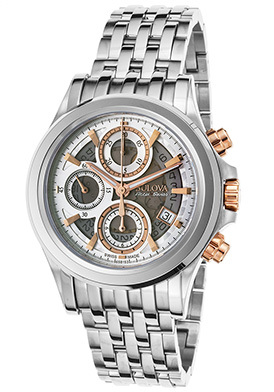 The Bulova Accu-Swiss Kirkwood Chronograph is another exceptional Swiss-made automatic watch for men. This masculine and stylish men’s timepiece features the highly polished round case in premium grade stainless steel presented on an attractive multi-link bracelet in brushed and polished stainless steel. The polished rose gold-tone stainless steel crown and push-pieces add striking contrast. The raised, stationary polished steel bezel surrounds the semi-skeleton white dial with small-second, 30-minute and 12-hour registers, an automatic date window, luminous hands and hour markers. 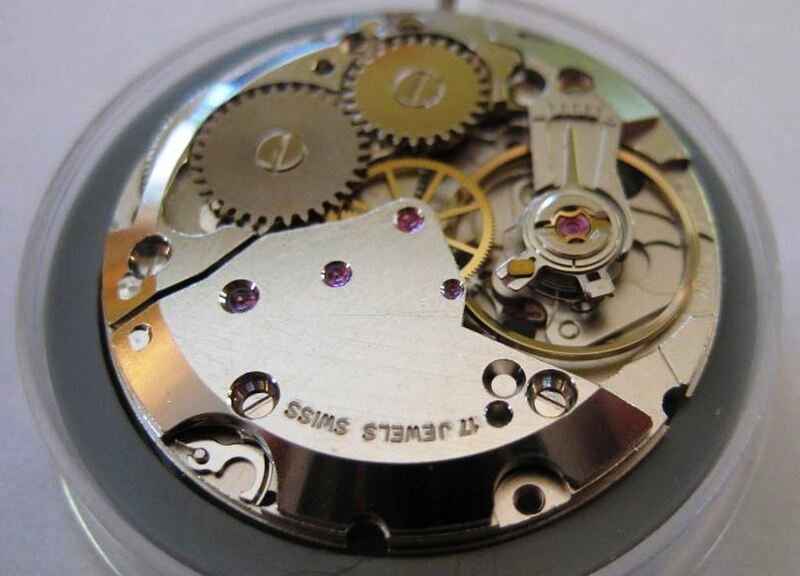 A semi exhibition skeleton case back lets you see the automatic movement inside. Features include a scratch resistant sapphire crystal above the dial and water-resistance to 100 meter or 330 feet. Bulova Accu-Swiss Kirkwood Chronograph is 42mm in diameter and 16mm thick. 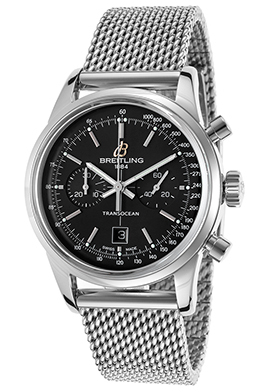 The Breitling Transocean 38 Chronograph is a deserving Swiss-made automatic watch choice for women. The sleek and sporty styling features a generously sized case in polished premium grade stainless steel, presented on a stainless steel mesh bracelet. The raised, polished stainless steel bezel encircles the black dial with a tachymeter outer dial, small-second and 30-minute sub-dials, along with luminous baton hands and hour markers. Features include a scratch resistant sapphire crystal above the dial and water-resistance to 100 meters or 330 feet. Breitling Transocean 38 women’s chronograph is 38mm in diameter, 15mm thick and has been awarded official Chronometer certification from the esteemed COSC (Official Swiss Chronometer Test Institute). If you shopped around, you’ll know what a great value the Lucien Piccard Acropolis Automatic men’s watch is. This distinguished traditional wristwatch features the perfectly round case in lustrous stainless steel, presented on a handsome crocodile textured black leather strap with a convenient deployment clasp closure. The styling gets noticed with a multi-layered black dial with three sub-dials, an open heart window above the 6 o’clock hour, polished silver-tone pie-cutter hands and Roman numeral hour markers. Features include date, day-of-the-week, month and 12-hour windows, along with an exhibition skeleton case back. Additional features include a scratch resistant Sapphitek crystal above the dial and water-resistance to 30 meters or 100 feet. 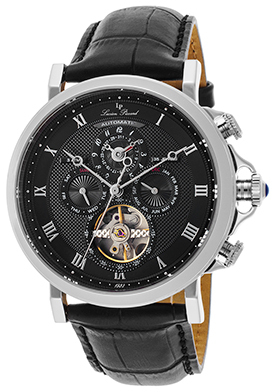 Lucien Piccard Acropolis Automatic men’s watch is 45mm in diameter and 15mm thick. Watch interior image courtesy of Wiki Commons.